New cover just released. I’m so thrilled to be working on this project. I’ve long been a fan of Ender’s Game, and I was doing back flips when Orson Scott Card released the direct sequel Ender in Exile in November 2008. Beautiful art by Pop Mahn. Cover by Sebastian Fiumara. For some reason Marvel has billed me as Aaron William Johnston, with my middle name. Not sure why. This means that I now show up on their list of writers twice, once with my middle name and once without. Ah well. What do you do? 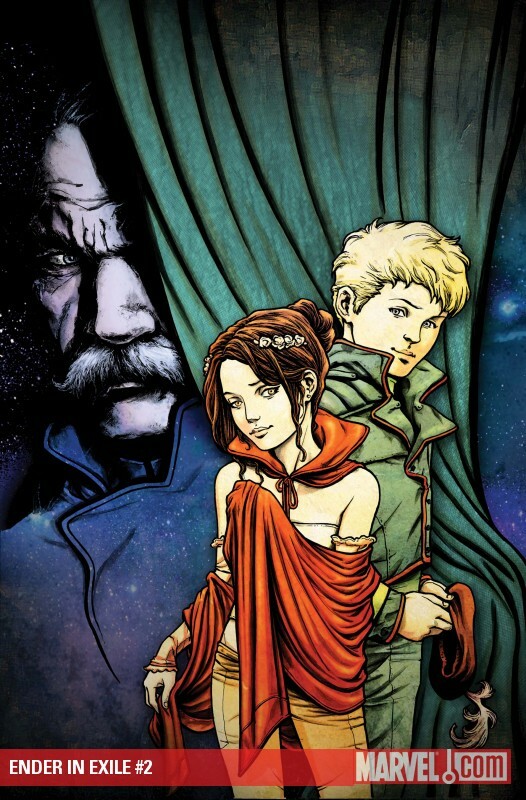 Note: This is the first cover to feature Ender’s new enemy, Admiral Quincy Morgan, and his love interest, Alessandra Toscano, a colonist heading to the planet Shakespeare with Ender.